Welcome to the Twin City Website! Twin City is working to become one of the most popular heritage and eco-tourism destinations in Georgia. Twin City, a "little city with a big history," began as two towns, Summit and Graymont, which merged in 1921 to survive the effects of natural disasters, such as the boll weevil devastation, and economic depression. In February 2014, the Twin City Historic District was listed on the National Register of Historic Places. The district includes over 130 structures with architectural house types and buildings from 1830 to the present and is an excellent example of a railroad strip town. Twin City is also home to the beautiful George L. Smith, II State Park. Community pride runs deep, and although a touch of rivalry remains between "Summit" and "Graymont" neighborhoods, today's residents of Twin City are warm, friendly, and proud of their roots. Excellent schools, championship football, great recreational opportunities, active churches, and a community thriving in revitalization through historic preservation make Twin City a place that's "Twice as friendly, twice as nice." The Mayor and City Commission of the City of Twin City, Georgia will have a special called meeting on Tuesday, April 23, 2019 at 5:30PM. This meeting will be held at the Police Department. The purpose of the called meeting is to hear an application for a beer, wine, and liquor license. 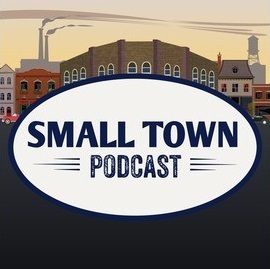 Listen to Small Town Podcast episodes free, on demand.